The annual US market for office furniture is currently about ten billion dollars in size. Approximately 11% of that, or $1.1. billion, is comprised of desks and tables. The industry has gradually yielded market share to low-cost, Chinese imports. How does the upCentric differentiate itself from overseas imports? ANSI/BIFMA X5.5 – 2014 Desk Products provides a common basis for evaluating the safety, durability and structural performance of desk/table products intended for use in commercial office and related institutional environments such as educational environments. 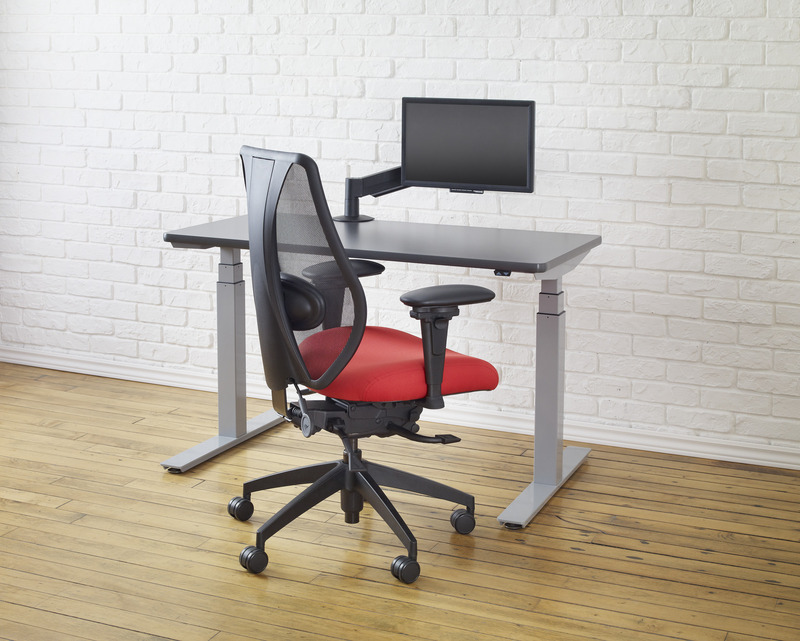 The upCentric 2L, 2LS and 3L table frames meet the above standard. But what do these standards cover when it comes to standing/ height adjustable desks? BIFMA tests for desk stability and tipping risk. They do not test for electrical safety, which is typically under UL/CSA testing for power supplier and other circuit boards. Like ANSI/BIFMA testing, manufacturers pay significant fees to have UL/CSA testing performed on their products and this is often reflected in the prices they charge. Dealers, large institutional buyers and retailers should avoid untested products that are not UL/CSA tested to current standards as it leaves them vulnerable should they lose a product liability suit over something like an electrical fire. To search whether a manufacturer’s product is UL certified, click here. To search whether a manufacturer’s product is CSA certified, click here.